Cylindrical-conical fermentation tank CCT is stainless steel (AISI 304 – 1.4301) vessel mostly used for main fermentation of the beer or other beverages. 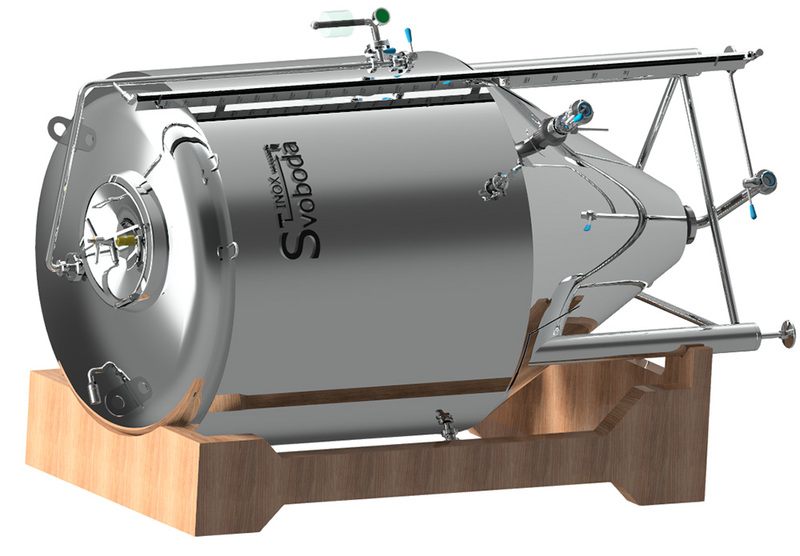 This type of tank can be used also for maturation, lagering or as a serving tank – bright beer tank. 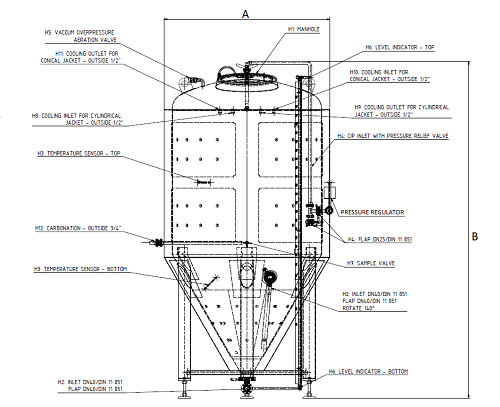 With design of 3.0 Bar pressure man can call this tank also „universal tank“, tank for all beer production processes. Tank is manufactured containing standardized dimensions and accessories, or according to individual customer requirements. Standardly it is equipped with two separate cooling zones – duplicators, outside jacket and PUR isolation. All stainless steel and pressure vessels from our production have PED certification and follow all EU standards. Range of our production is from 100 liters up to 20 000 liters vessels. - mirror polished surface inside the tank (Ra ≤ 0,4). Our company supply stainless steel vessels to all Europe countries with maximal customer satisfaction and all necessary certification (CE / PED). Transport of the tanks is provided horizontally on a wooden pallet to avoid problems with large dimensions and safety during transport.